The Quinnell family say they are shocked by the Welsh Rugby Union's decision to drop a citing complaint over an incident that led to Gavin Quinnell losing the sight of one eye. 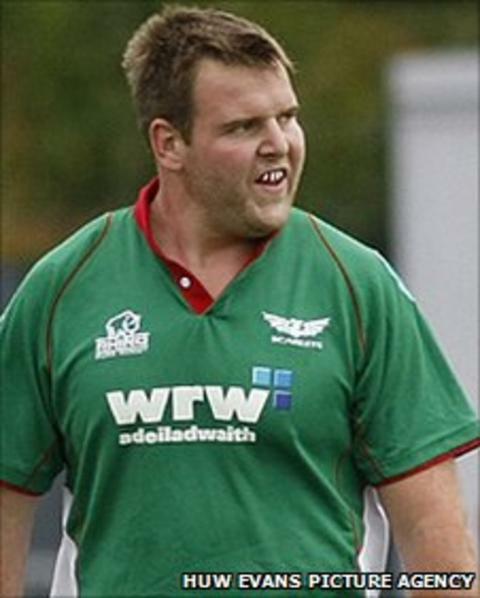 It occurred in October when Quinnell was playing for Llanelli against Cross Keys. The family said in a statement: "We are all astonished and deeply shocked by the decision that has been reached." An unnamed Cross Keys player was arrested, but no charges were brought. That followed an investigation by Gwent Police who arrested the Cross Keys player and passed the case to the Crown Prosecution Service who advised against charges being brought. The WRU's statement read: "The WRU disciplinary panel did not uphold the citing and a subsequent appeal lodged by Llanelli RFC was dismissed by the WRU appeal panel." Gavin Quinnell is the youngest of three rugby-playing sons of ex-Llanelli, Wales and British and Irish Lions forward Derek. Eldest brother Scott also played for Wales and the Lions while middle brother Craig also played Wales. Scott, Craig and Gavin are also the nephews of Wales and Lions legend Barry John. Gavin was contracted to the Scarlets and playing for Llanelli in the Welsh Premiership against Cross Keys, having returned to Wales following stints at Worcester and Viadana. In their statement issued on behalf of the family by the Scarlets, the Quinnells responded: "Naturally Gavin and his family are devastated by this stark verdict and have requested that they are given some time and space to let a very disappointing outcome sink in. "The fact is everyone involved in this case is currently so numb, that we are not in a position to make any further comment at all at this stage; neither are we able to consider fully what course of action to take next. "The family wish to express their thanks again to all those who have shown them great support throughout this very challenging and difficult time."